OKVM Bringing forward branded solutions through great design & detailed production on all mediums & platforms with the intent of lifting the bar even higher with every opportunity. They have Champion a creative instinct. Nourish a furious appetite for innovating visual communication & always keeping vigilant in strengthening brand integrity while always expanding our global reach. Must have OKVM E-Juice for keepers of a higher standard and seekers ofrewarding flavors. This is a palate pleasing blend that used the essence of unique and juicy southeast asian fruit extracts. 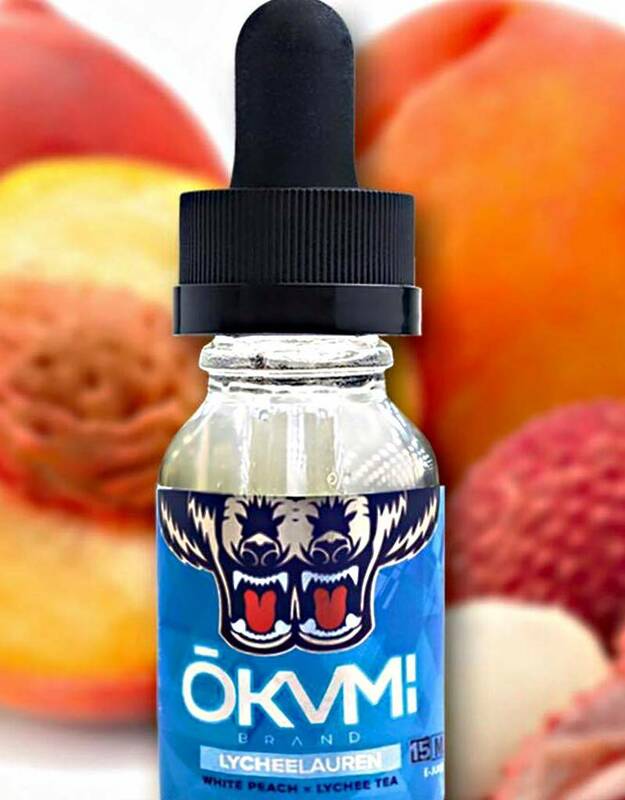 Just like LYCHEE LAUREN but with cool, refreshing menthol added, this OKVM E Liquid is sweet and floral, bringing out the best flavors of both peach and lychee to form a hybrid taste sensation.